Exploiting heterogeneous parallel hardware currently requires mapping application code to multiple disparate programming models. Unfortunately, general-purpose programming models available today can yield high performance but are too low-level to be accessible to the average programmer. We propose leveraging domainspecific languages (DSLs) to map high-level application code to heterogeneous devices. To demonstrate the potential of this approach we present OptiML, a DSL for machine learning. 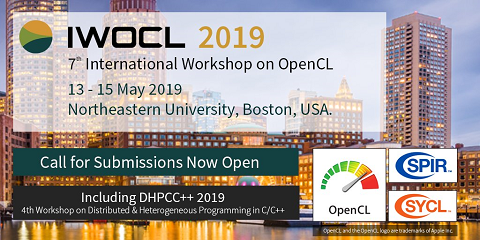 OptiML programs are implicitly parallel and can achieve high performance on heterogeneous hardware with no modification required to the source code. For such a DSL-based approach to be tractable at large scales, better tools are required for DSL authors to simplify language creation and parallelization. To address this concern, we introduce Delite, a system designed specifically for DSLs that is both a framework for creating an implicitly parallel DSL as well as a dynamic runtime providing automated targeting to heterogeneous parallel hardware. We show that OptiML running on Delite achieves single-threaded, parallel, and GPU performance superior to explicitly parallelized MATLAB code in nearly all cases.